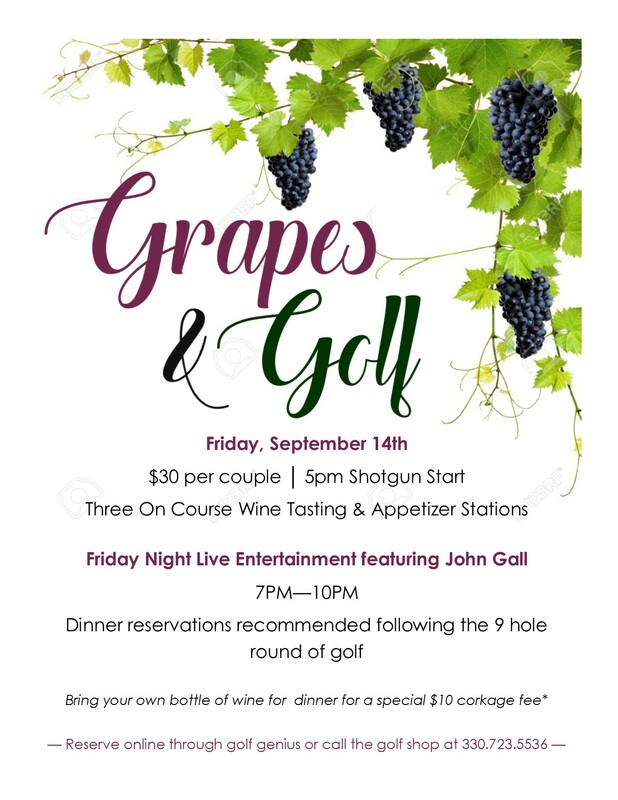 5:00 Shotgun with 3 wine tasting stations on the course. Reservations available on golf genius. Dining reservations are available after golf.